What are Shipping Provider Live Rates? Shipping provider live rates come directly from a shipping provider (USPS, UPS, FedEx, etc) via direct integration with the shipping providers own rate estimation system. When a customer selects a shipping provider's service on the shopping cart, our system communicates with the shipping provider's system instantaneously and displays the shipping calculation to the customer. Registering: You can register for webaccess to USPS at: https://secure.shippingapis.com/registration/. If the above link does not work, you can find the registration page by searching for "USPS WEB ACCESS" at www.usps.com. Select Web Tools from Recommended Links in the blue box. Select Sign Up from the Access USPS Web Tools box. Enabling Production Mode: After you register, you will receive an email with your Username and Password. The email outlines the testing procedures for server access. It also contains a brief explanation on how to activate your account for live use. You don't need to run the test outlined in the email. This step has already been completed by AmeriCommerce online stores . Please call the number provided in the email and request that your account be moved from test mode to production mode. Moving your account to production mode only takes a few moments with the phone number listed in the email. UPS - Register for UPS at http://www.ups.com. You will receive an email confirming your User ID and activation. If you have an existing UPS account, you can use the existing User ID. DHL - Register for an account at http://www.dhl.com and acquire a DHL Account Number. If you already have an account number, that number can be used. Click on the edit icon for DHL. Next, enter your DHL account number (provided by DHL) in the corresponding box and check active. Don't forget to save. Next, click on the Get Key link. If the account number is valid, Two Keys will be provided in a pop-up. Click 'OK'. This will populate the keys in the Password/Key 1 and Shipping Key2 input boxes. Check your Username and Password to make sure they are correct. If you are using USPS, Call USPS to ensure your account is in production mode. Make sure you've actually SAVED the info, before hitting test. The shipping provider's service is down at the moment. www.shippingapimonitor.com shows if a Shipping service is Online or Offline. No applicable rates were returned for the specified address. Make sure you have the correct services marked as active. Sometimes certain services are not available to certain destinations so an unexpected service may be returned. To test this, go to the provider’s website. Try the calculation there and make sure you have the services that they return marked as active in your settings. Make sure you have your regions set up correctly. A United States region is required to be present in most cases, so if you have deleted it try adding it back and test again. This has to do with being able to ship outside of regions properly. Markup Type: Specifies if the Markup Amount is to be applied as a percentage or as a fixed dollar amount. Markup Amount: The amount of markup, in percent or in dollars, that occurs when this shipping provider is chosen. See also Markup Types. 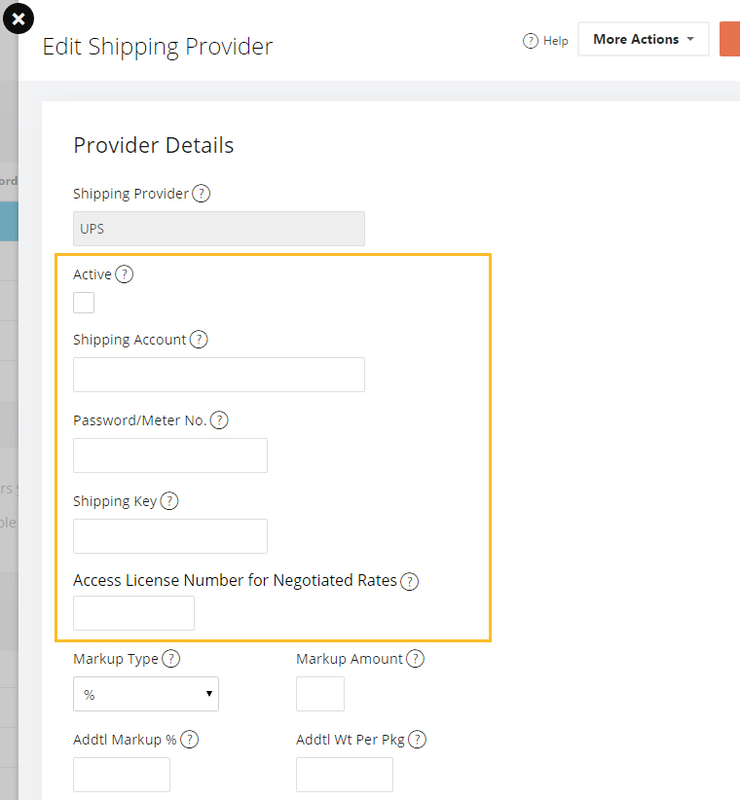 Addtl Markup %: This feature allows you to specify an additional percentage markup for shipping provider rates. With this, you can specify both a flat dollar per package markup and an additional percentage that will be added to the overall shipping fee. Addtl Wt Per Pkg: This allows you to set an additional weight that will be added to each package when getting shipping provider rates. 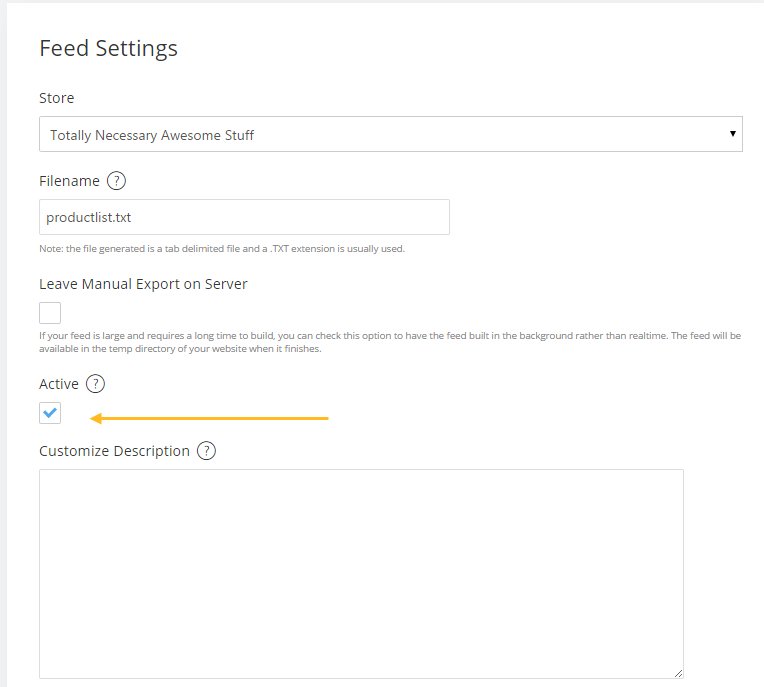 You can configure a global amount per shipping provider, and also store level overrides for each shipping provider (In Settings > Shipping > General). This does not affect custom shipping methods. In Settings > Shipping > General in the Shipping Provider Settings, shipping providers can be activated and inactivated at the store level. Store level markups can also be added here.